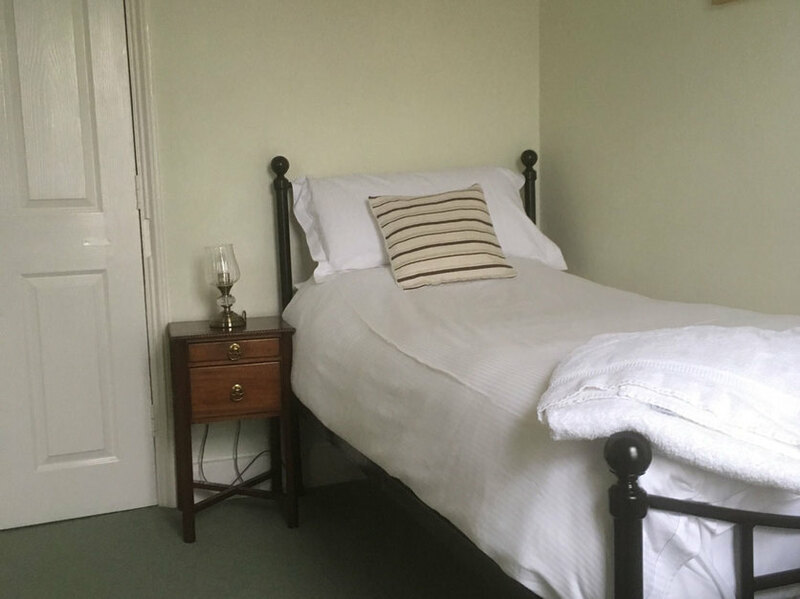 No 1 Park Terrace is a spacious and comfortable Victorian town house, situated in the centre of beautiful and magical Glastonbury, Somerset. 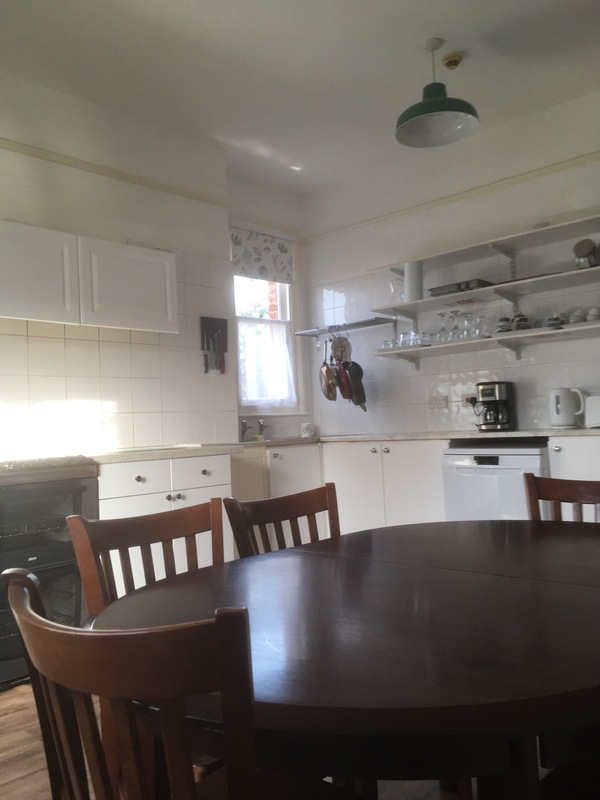 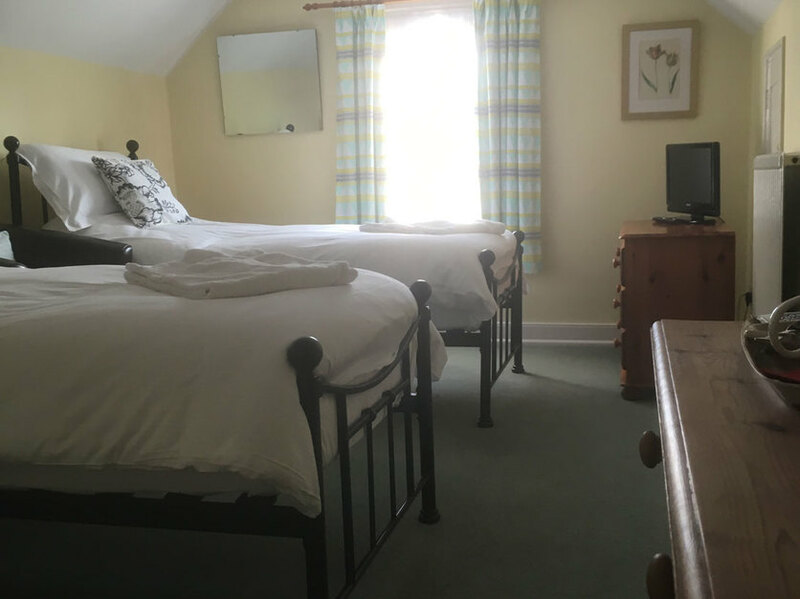 Sleeping up to 9 people in 5 bedrooms, we are the perfect self catering house for guests looking to explore the South West of England and beyond. 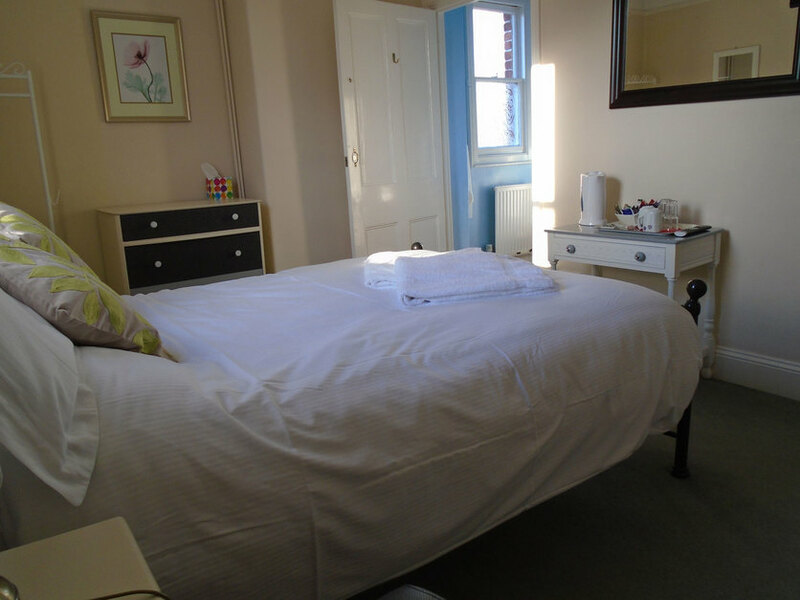 WHAT'S INCLUDED IN THE PRICE OF OUR ACCOMMODATION? 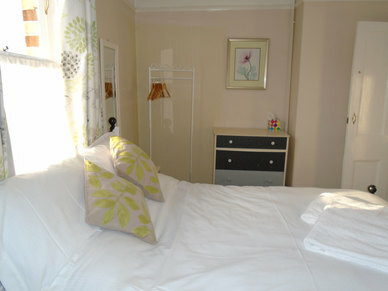 We will welcome you to No 1 Park Terrace with a Welcome Pack to help you settle in (we are close to a supermarket). 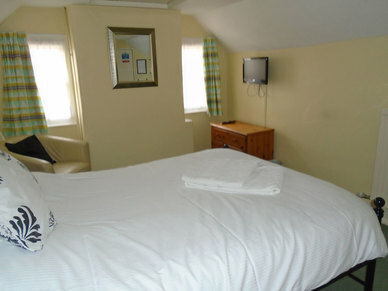 Sheets and towels are provided and rooms will be made up. 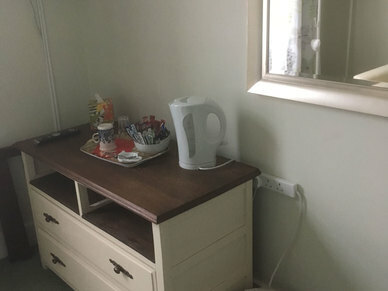 microwave, dishwasher and coffee machine. 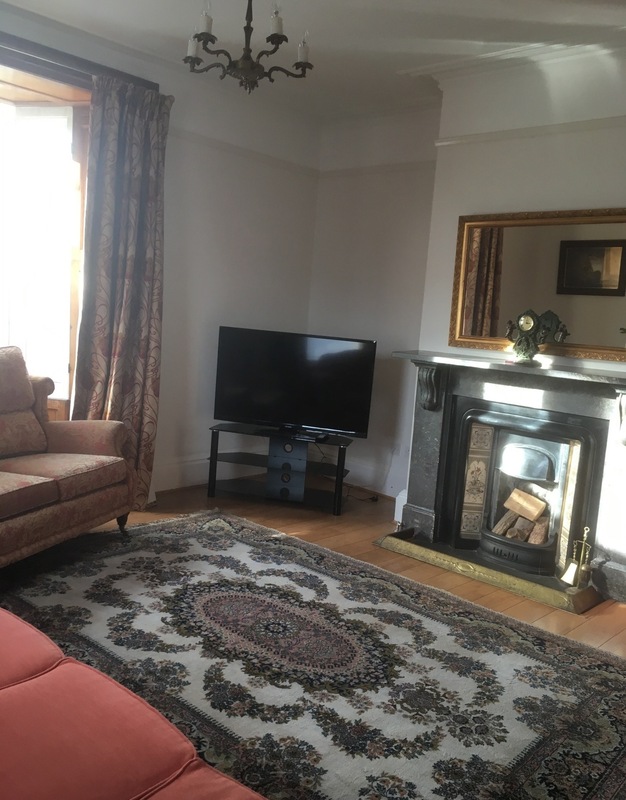 The living room is a real home from home with comfy sofas, television and a bookcase full of books, games and puzzles. 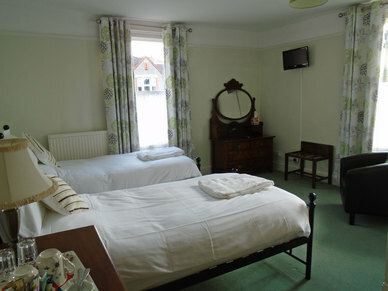 Our Glastonbury guest house has a wide selection of rooms available for our guests. 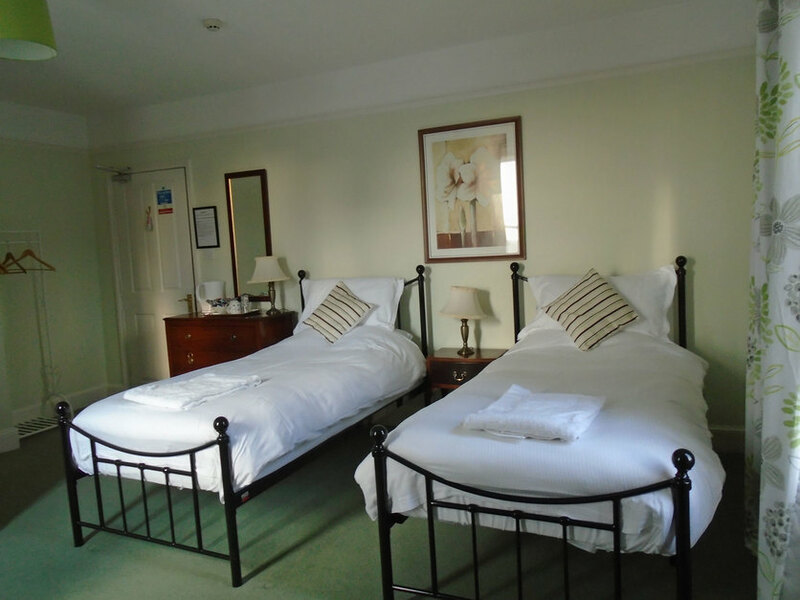 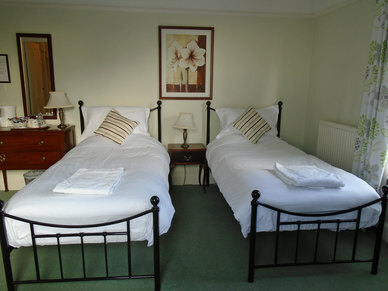 We have a twin and double room with en-suite facilities (Rooms 1 and 2) and a single with a private bathroom (Room 3). 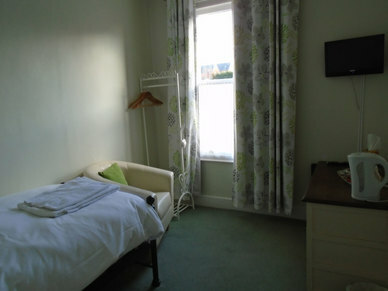 On the second floor, we also have a twin room and a double room with a shared bathroom (Rooms 4 and 5). 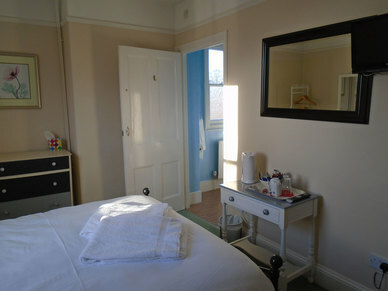 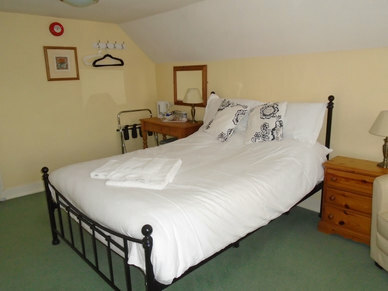 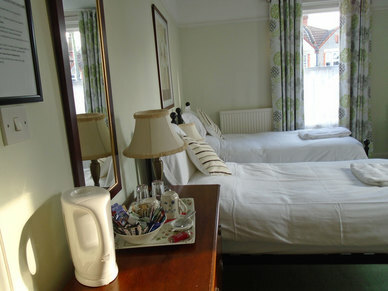 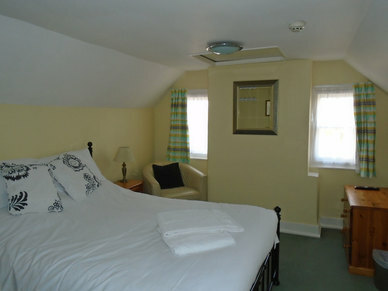 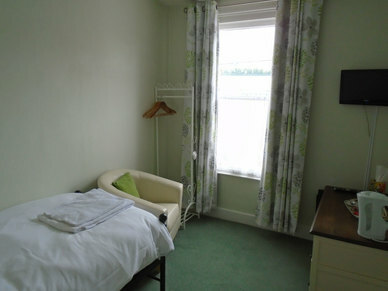 A sunny, spacious twin room with south facing windows, a television, wi-fi and central heating. 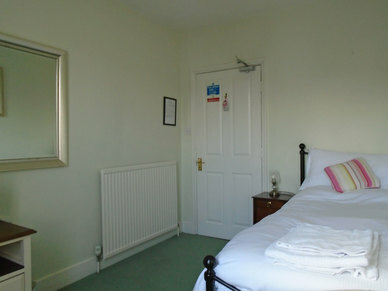 On a sunny day, light fills this double room with ensuite facilities, a television, wi-fi and central heating. 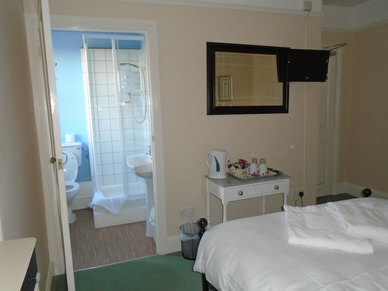 Our Single room with private bathroom benefits from the morning light, a television, wi-fi and central heating. 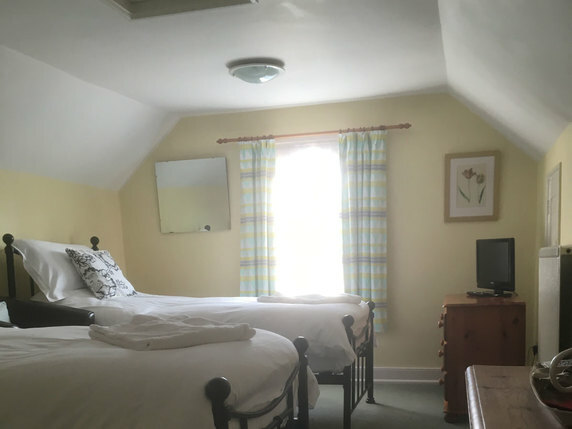 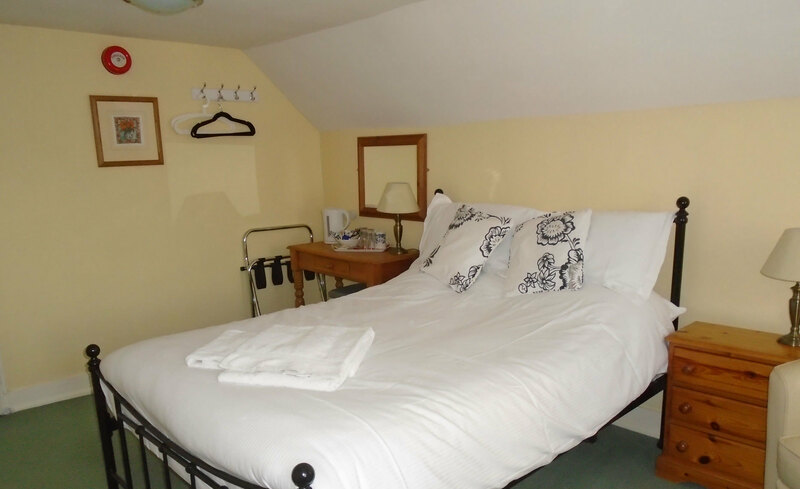 Our 2nd floor spacious twin room (2 single beds) has a beautiful attic window and access to a private bathroom, a television, wi-fi and central heating. 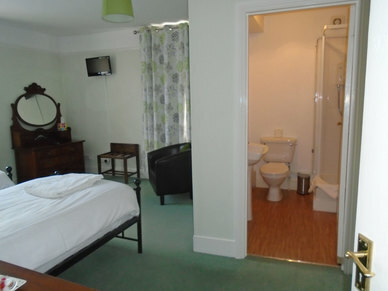 The double room next to Room 4 also has access to a private bathroom, a television, wi-fi and central heating. 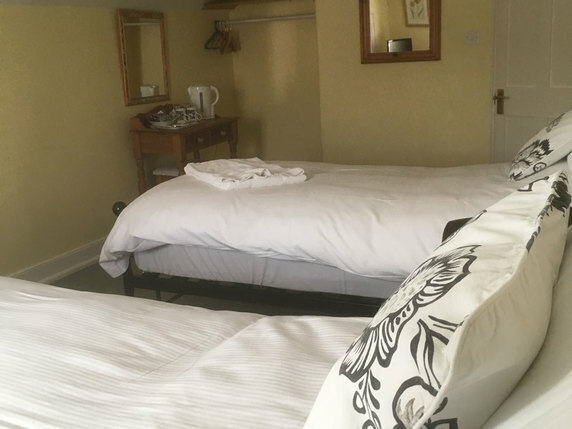 When you book with us, you book the whole house - you don't have to be a party of 9 to book with us! 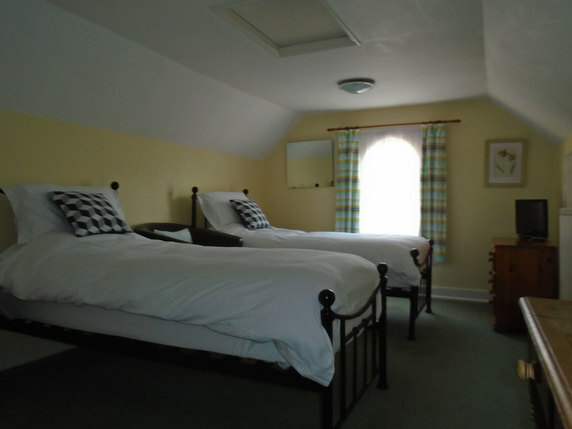 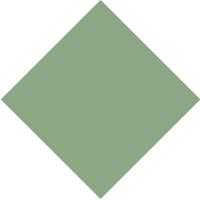 Want to find out more about our accommodation and check availability? 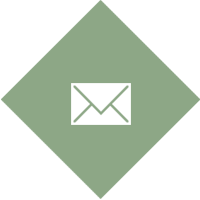 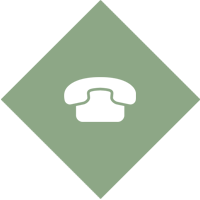 Just call or email us today. 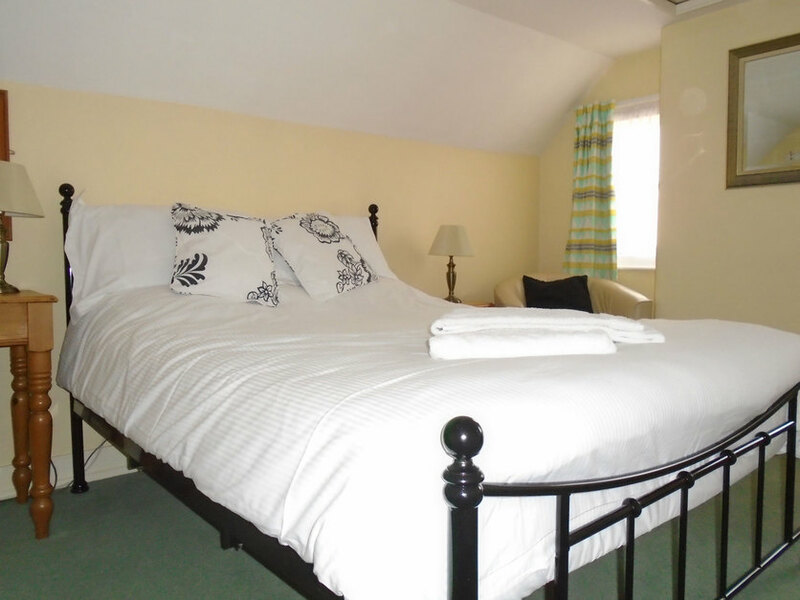 DO WE SOUND LIKE THE PERFECT HOLIDAY HOME FOR YOU? 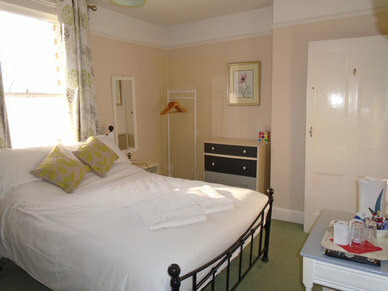 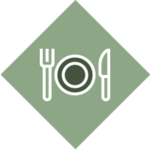 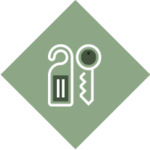 Based in Glastonbury, Somerset, find out about availability today by giving No 1 Park Terrace a call. 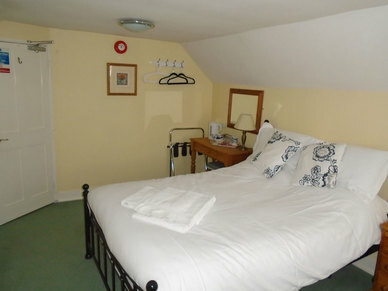 We're situated near some beautiful local attractions and are very easy to find, perfect for an English getaway.